Over the past decades, RDBMS has been the leading model for database management. But, today, NoSQL (non-relational) databases are gaining exclusive importance and it is considered as an alternative model for database management. 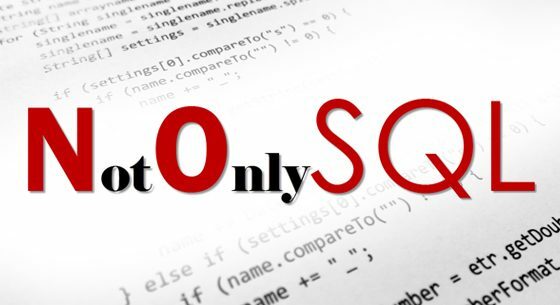 NoSQL databases were created to overcome the limitations of relational database technology. When compared to relational databases, NoSQL databases are more flexible, scalable and also superior in the performance. Some of the top features and Advantages of NoSQL over relational databases are listed below. Schema-agnostic: NoSQL helps to store information without doing up‐front schema design. Nonrelational: The information in NoSQL is stored in the form aggregate. A single record store every information about the transaction, including the delivery address. Commodity hardware: NoSQL database is cheap and adding lower cost servers allows NoSQL databases to handle and scale more data. Highly distributable: NoSQL uses the powerful, efficient architecture instead of the expensive monolithic architecture. The cluster of servers in NoSQL database can be used to hold a single large database. The database administrators are always relying on a scale up. Purchasing the bigger servers as the database will increase load rather than scale out. The RDBMS will not scale out easily on commodity clusters. One of the major advantages of the new breed of NoSQL databases is there are designed in such a way that there expand transparently to take advantage of new nodes, which significantly reduces the cost of commodity hardware. The transaction rates are growing tremendously in the current trend, hence the data that are being stored are also increased immensely. RDBMS capacity is increasing immensely to match this growth, but the data volume managed by a single RDBMS becoming impossible for some companies. This drawback can be overcome by NoSQL as NoSQL systems helps to handle large volume data such as Hadoop, outstrip which can be healed only by biggest RDBMS. One of the major problems associated with RDBMS is Change management. Even the smallest change associated with RDBMS data model should be carefully managed otherwise it reduces service levels. Whereas a NoSQL data model has fewer restrictions. Even the more rigidly defined BigTable-based NoSQL databases easily allow new column creation without creating much fuss. RDBMS rely on overpriced storage and proprietary server systems. While NoSQL databases commonly rely on clusters of cheap commodity servers to administer the tremendous data and transaction volumes. As the result, NoSQL is cost effective compared to RDBMS and allows to process and store more data at a much lower cost. RDBMS systems can be administered only with the assistance of highly trained, expensive DBAs. DBAs are involved in the installation, design and ongoing tuning of RDBMS systems. Whereas NoSQL databases are required less management and simpler data models, automatic repair, and data distribution lead to lower tuning and maintenance requirements.